NF (5014) - so now 5000 & 4965 become support. Above 5040, take it to 5072 and above this level last hurdle at 5105-5115. If clear this hurdle only, expect 5210-5220. ONMOBILE (292) - If see the previous post, no need to explain the stock performance and no surprise at all. what from here ? Today it may take rest. But if take support around 285 and trade above 295 then it may move to 306 and 315. now the question is whether it is today itself or tomorrow ? TCS (754) - Trade above 754, take it to 772-777. if clear this resist, then move upto 791. EDUCOMP (554) - 560-563 are hurdles. it is posted yesterday itself. Now if trade above this level, where it go ? Above 565, take it to 584-586 and after that 622. MPHASIS (562) - If trade above 567, take it to 585 & 597-600. day support at 557. 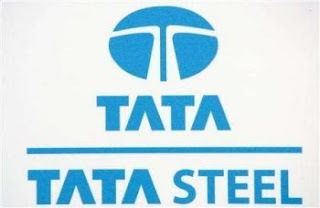 TATASTEEL (484) - Above 487, minor hurdle at 493 after that take it to 507-509 and above this level next attack 526 & 540.